Here follow three simple exercises to help you develop your intuition. These can be done on your own, without any expense or special preparation. As with everything in life, developing your intuition takes practice, so keep going even if nothing much seems to be happening to begin with. Each individual has a unique way of receiving intuitive impressions, so see which way your intuition is speaking to you. Is it through a feeling, a hunch, a bodily sensation, an image, a knowing, or words that you hear in your head? 1) Imagine what will be in your post box when you open it each day. Guess the number of total items by asking yourself ’What mail do I have in my mail box today?’ Don’t attach any importance as to whether you are right or wrong. On a sheet of paper, note down in one column the number you come up with and then in another column, the amount of mail that actually arrives. 2) When your phone or mobile rings, imagine who it is before you answer it. Ask yourself ‘Who is calling me now?’ Again its useful to note down the results of this exercise, with a time and date too. 3) Have a pack of ordinary playing cards placed face down in front of you. Take one card from the pack and keeping it face down, close your eyes and imagine what colour it is, either red or black. Continue this process with the other cards in the pack and note down your answers. When you have done this exercise for a while and achieved a measure of success, you can proceed to guessing the numbers on the cards. Again note down your answers and the numbers of the cards themselves, to see if some sort of pattern emerges and how you are progressing. 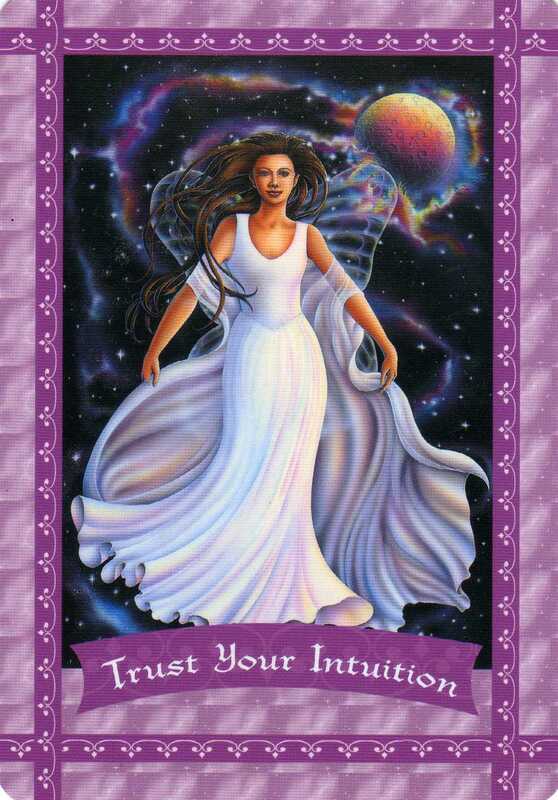 Have fun with developing your intuition, take these exercises lightly and do them often. You will soon begin to trust your hunches and feelings and discover that your intuition, is an invaluable asset in all aspects of daily life.